NetBackup Appliance | Veritas NetBackup | NetX Inc. The future of enterprise-class data protection is here! Veritas NetBackup reduces the staggering complexity of enterprise data protection through comprehensive integration, a converged platform to trivialize infrastructure management, and efficiencies through automation and self-service operation. NetBackup outpaces the relentless growth of the data center with innovative performance technologies, efficient storage techniques, and by providing fast, easy recovery for any data you need. As IT transforms from cost center to business enabler, NetBackup is engineered to solve the diverse data management challenges of today and tomorrow and ultimately give organizations the confidence to move faster and take bigger risks trusting that their information will be safe. 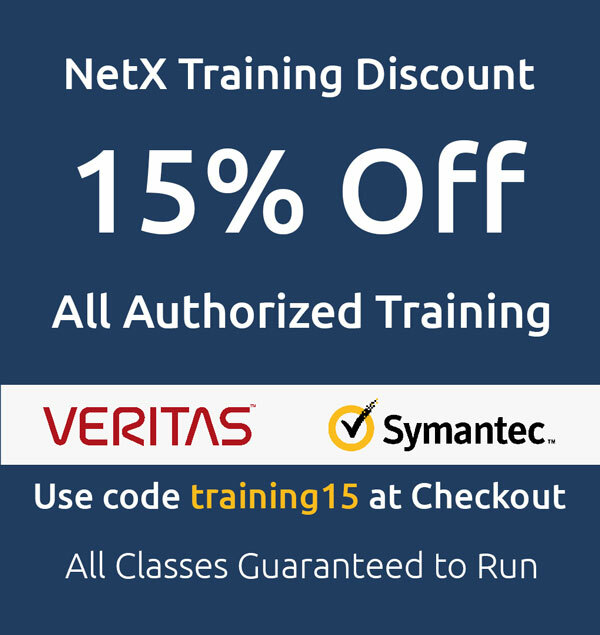 What does NetX offer for Veritas NetBackup & NetBackup Appliance?